Many (endless?) questions come up when you become pregnant. One popular category: sleep. Questions arise – even fear. If there is something expecting parents are afraid of, (often unnecessarily), is that their life as sleeping creatures is over. Expecting mothers have the double amount of questions about sleep, as the sleep-during-pregnancy is also a common concern. Do I need more sleep? How do you sleep when you have a huge stomach. And so on. Some people say that it’s difficult to sleep during pregnancy – why? First of all – not everyone sleeps worse during pregnancy. Some even sleep better than usual. But it’s not unusual that it becomes more difficult to sleep. It’s due to a wide range of reasons. The frequent need to pee. As the fetus presses on the bladder you might need to pee more often and that wakes you up during the night. During pregnancy, the calcium increases, due to the hormones. Calcium plays a central role in the muscle function. The increased calcium makes women more likely to have cramps, often in the calves. Pregnant women often have stronger, more intensive and realistic dreams and nightmares. They can disturb the sleep. They simply wake you up during the night. Do I need more sleep during pregnancy? There is no straight answer to that question. Sleep is very individual. But if you feel the need to sleep more than usual, that’s probably the case. Your body is working harder than usual because of it… is creating a new human being. The heart is beating faster, a lot of new hormones are created, the kidneys are working hard and as the month’s pass, the body becomes heavier. So it’s no wonder that you need to sleep a few hours more than usual. But it’s also not strange to continue sleeping as usual. According to a comprehensive study from 2015, which reviewed more than 300 existing studies, pregnant women may need two hours of sleep more than usual. But as said before, “may happen” = it does not apply to all. Can I sleep on my stomach? Or on my back? At first, yes. As the pregnancy is getting longer, it becomes more difficult. Nowadays, it’s common that expecting mothers are advised to sleep on the left side. It optimizes the blood flow around the body and to the baby. It’s not harmful to sleep on the right side. 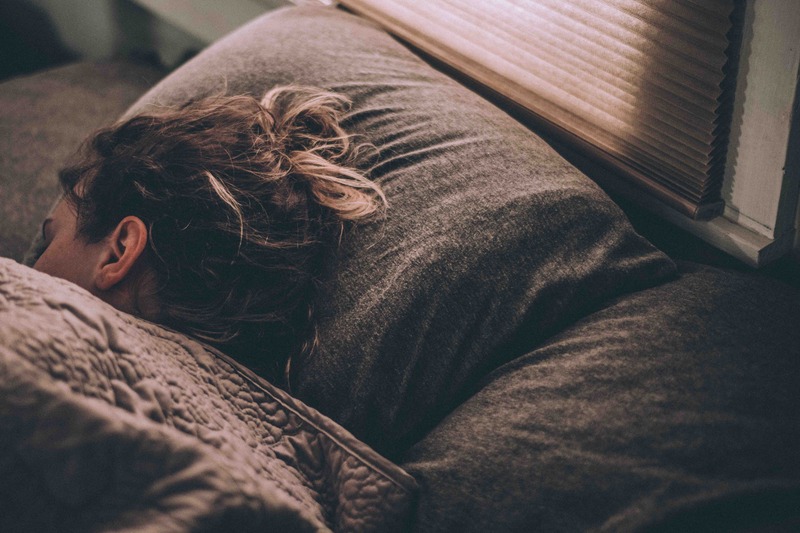 Sleeping on the back, on the other hand, increases the risk of impaired blood supply to the fetus because blood vessels may end up getting squeezed. Pregnant women should not sleep on their backs, especially during the last months of pregnancy. Next post: 10 tips to get a better sleep during pregnancy!